There are several well-received scientific studies that have connected consumption of diet soda with weight gain. Theories to explain why diet soda drinkers tend to gain more weight than sugar-sweetened soda drinkers vary. Some doctors believe that our bodies become confused when we drink sweet liquids yet don’t produce any glucose through digestion. Other doctors point to a hormone called GLP-1 that plays a role in our hunger/satiety response. Regardless, drinking artificially sweetened soda is not problem free. A second area of research has correlated diet soda with developing metabolic syndrome. Metabolic syndrome is a catch-all diagnosis for a cluster of health issues related to heart disease. One study found a 34% higher incidence of metabolic syndrome among diet soda drinkers. Ouch. Artificial sweeteners are artificial. Right. So these chemistry lab products seem to have a negative impact on our cells. This cell damage has been linked with respiratory and immunological disorders. Want to have a child? You might want to skip the soda isle altogether. 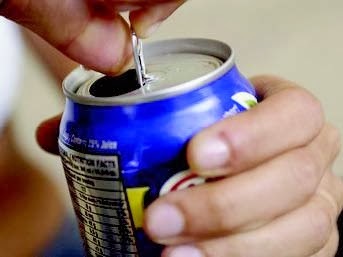 This isn’t limited to diet sodas, but to all sodas packaged in cans. To keep that soda taste fresh, manufacturers coat the inside of the can with a plastic called bisphenol A. this is not a benign plastic. It has been tied to weight gain, heart disease and a broad range of reproductive system disorders. Maybe a nice glass of water to help make baby? In addition to the reproductive organ damage, diet soda is also linked with kidney disease. One Harvard study found a doubling of kidney function declines among diet soda drinkers. Love your sparkling smile? Consider what diet soda is doing to your pearly whites. The acid in diet soda is very hard on the enamel of your teeth. Most of us have dropped a penny in a glass of soda overnight and removed a sparkling clean penny the next day. 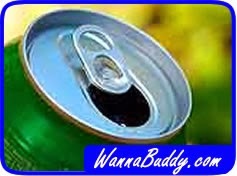 Soda removes tooth enamel with similar ease. Diet sodas are an ironic mixer with alcoholic beverages. Nonetheless, many of us order a Jack and Diet Coke, thinking that avoiding some calories is a good thing. Unfortunately, using sugar-free mixers can actually make you get drunk faster and leave you with a bigger hangover the next day. I’ll have the Merlot straight up, please. Diet soda is not the root of all evil. Consumed in moderation, it can be a nice treat that doesn’t blow up your diet. Just consider some of these side effects next time you are shopping the soft drink isle.